The 2008 Tall Ships Race began in Liverpool and I had the good fortune to be there. On Sunday 20 th July, amongst huge crowds of people and a very festive atmosphere, I saw the ships in the docks. The Lord Nelson was not open for inspection at the time, but as luck would have it I spoke to the ships cook at the gangway. 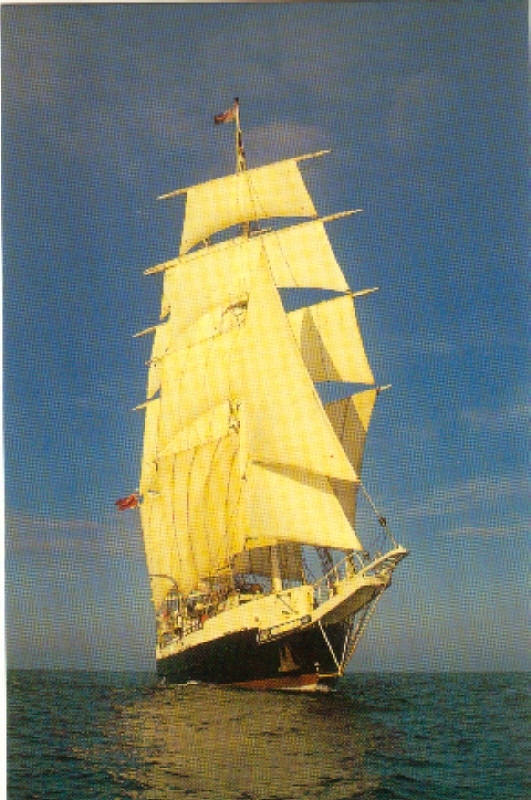 I introduced myself and gave her a Lady Nelson postcard with a written greeting to the Lord Nelson crew. The cook invited me aboard and showed me the galley. 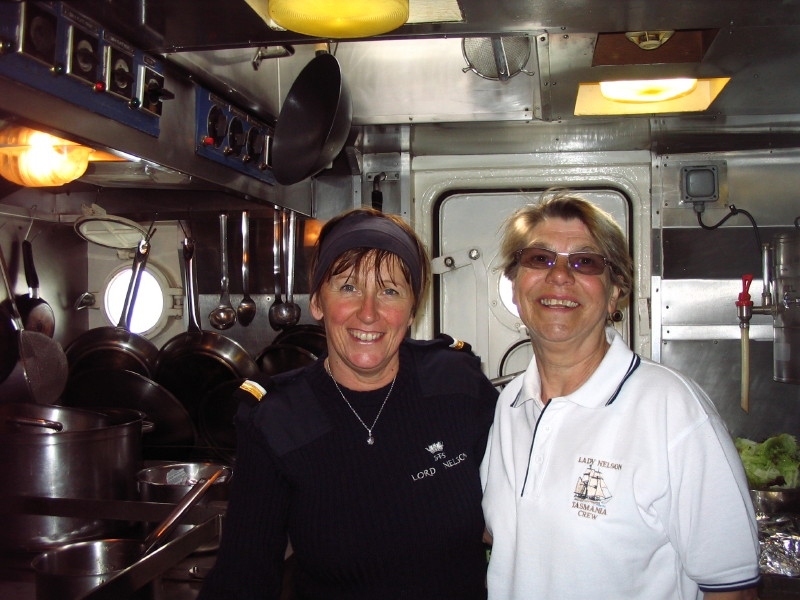 We posed for a photo, each proudly wearing our appropriate shirts, and she then wrote a greeting on a Lord Nelson postcard, to the Lady Nelson crew from the Lord Nelson crew. The next day, Monday 21 st July, I spent many hours at a really good vantage point near the mouth of the River Mersey waiting for the Parade of Sail. As the morning progressed huge crowds built up and filled every bit of viewing space along the riverside. It was a beautiful sunny day and very pleasant to watch the activity on the river, including the Mersey ferries. The parade of 60 ships large and small took some time to pass. It was an impressive sight, even though most were displaying no sail at all and those that were had only a token of fore and aft. I thought again about our own beautiful harbour and the sight of the tall ships in 1988, becalmed but magnificent in full sail.